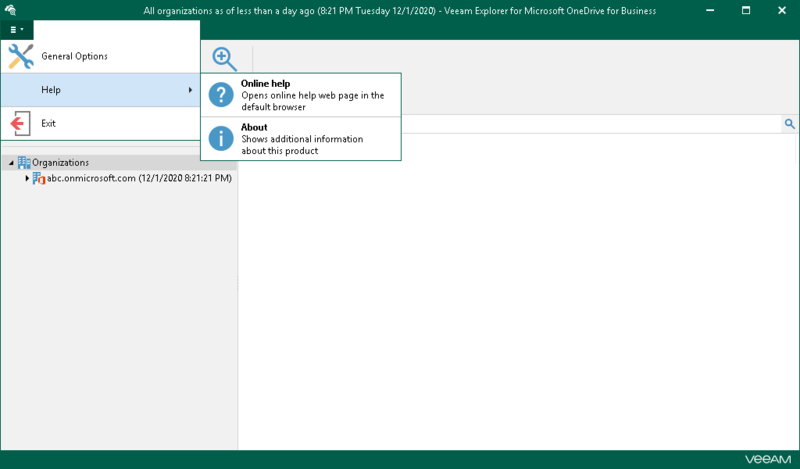 Veeam Explorer for Microsoft OneDrive for Business provides you with the convenient user interface that allows you to perform required operations in a user-friendly manner. General Options. Allows you to configure program options. See Performing Initial Configuration Settings. About. Shows current product information. The navigation area, which allows you to browse through the hierarchy of your backup files.